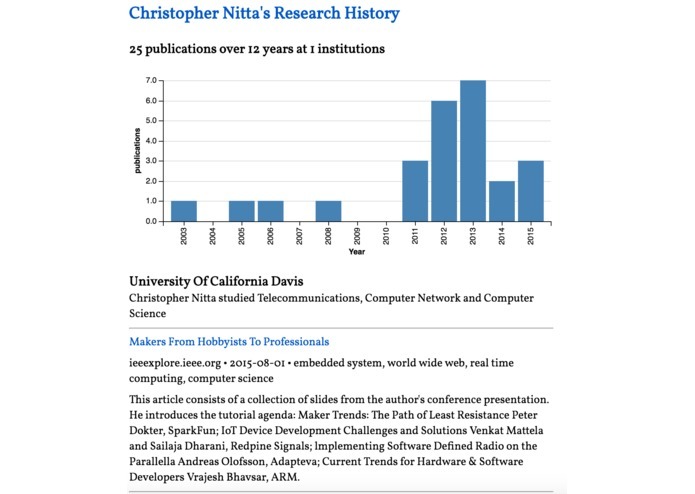 Search "christopher nitta" and see a UC Davis computer science professor's research history. RateMyProfessor.com is a biased forum where students post comments about professors. I wanted to create a data-driven alternative to learning about your professor. 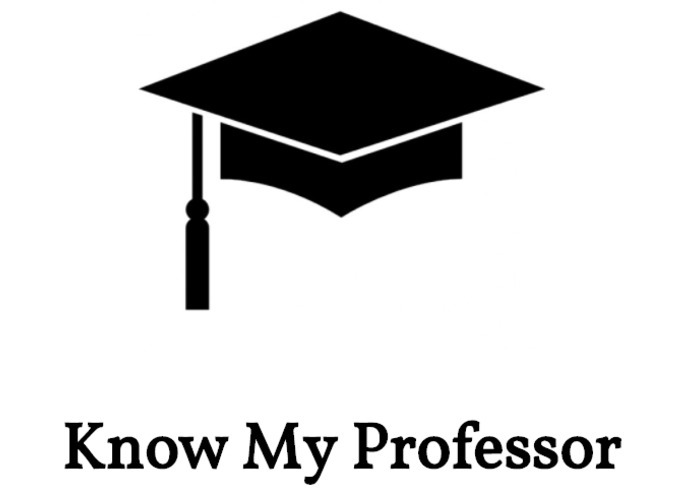 KnowMyProf.com highlights a professor's research history. It also shows an entire university's research history. Hosted on an Azure VM. Calls Microsoft Cognitive Services Academic Knowledge API in Flask app. Vega data visualization framework used for histograms. The naming conventions Microsoft used for the academic knowledge API are pretty poor -- one letter strings to describe response fields are not very readable in code. I mapped the response fields to more meaningful names to overcome this limitation. Rate limiting was strict when debugging, especially on the CalcHistogram endpoint. It would have been cool to have a special API key to get by these limits. Deployed a new data visualization JS library and built a coherent tool using Microsoft APIs! Microsoft has cool APIs that can power applications! It's all about using them in a context that makes sense, like here using the academic knowledge API in a website for academic community members. Also, Azure VMs are speedy and have very fast network connections! Advertise at UC Davis and UC Berkeley, add more data about professors' teaching history from school course catalogs.